Yale University alumni are pushing again to revoke the honorary degree given to Swiss billionaire Stephan Ernst Schmidheiny, whose asbestos-filled factories in Italy were responsible for the deaths of more than 2,000 people. Schmidheiny, 70, was sentenced to 16 years in prison and fined $15 billion in 2012 by an Italian court that found him negligent in protecting employees and nearby residents from deadly asbestos-related diseases such as mesothelioma. Schmidheiny received his honorary degree from Yale in 1996. In 2014, the university dismissed efforts by the Italy-based Asbestos Victims and Relatives Association and several Yale alumni to revoke the degree. Schmidheiny is the former chief executive officer of Eternit, a corporation specializing in fibre cement products that operated factories in four different Italian towns. The New Haven Register reported a group of 30 Yale alumni sent a letter earlier this month to university President Peter Salovey, asking him to “re-evaluate the honorary degrees” given to Schmidheiny and stand-up comedian and actor Bill Cosby. Cosby, 80, has spent the last few years defending himself from multiple charges of sexual assault. He went to trial in Pennsylvania this month on charges of aggravated indecent assault, stemming from 2004. Cosby received his honorary degree from Yale in 2003. More than 20 universities around the country already have rescinded a degree given to Cosby. Schmidheiny will be back on trial April 26 in Turin, Italy, facing two counts of manslaughter linked to asbestos-related deaths. Schmidheiny’s earlier conviction was overturned on the grounds that a 10-year statute of limitations had expired. The factory stopped using asbestos in 1986 after finding alternative ingredients for its cement products. According to the New Haven Register, Schmidheiny still can be charged individually in each of the four areas where his factories operated. Exposure to asbestos can lead to serious health problems, including lung cancer, mesothelioma and asbestosis. Mesothelioma has a latency period of 10 to 50 years between initial exposure and diagnosis. Officials in the small town of Casale Monferrato, Italy, believe people who worked in Schmidheiny’s factory there — or lived nearby — are still dying from the long ago asbestos exposure. Eternit continued using large amounts of crocidolite asbestos until the mid-1980s, according to testimony at the trial in 2012. Critics have blamed Schmidheiny for the environmental disaster that has killed so many. He became chief executive officer in 1976, virtually ignoring the high number of asbestos-related diseases that were diagnosed throughout the next 20 years. At the same time, Schmidheiny also became known as a philanthropist with a worldwide reach, supporting eco-friendly projects that endeared him to many. An official at Yale cited his advocacy of sustainable economic growth and development when honoring him. Yale University, a world leader in higher education, has never rescinded an honorary degree. 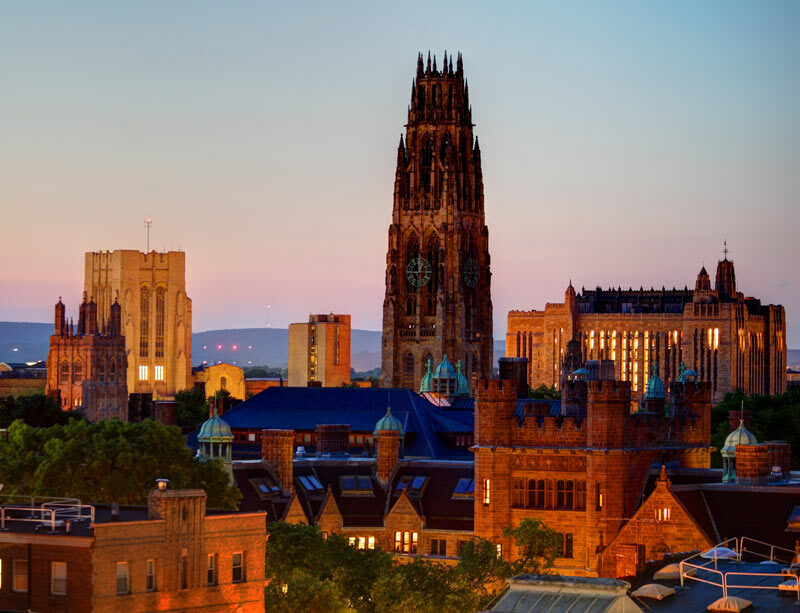 Alumni of Yale include 19 United States Supreme Court justices, five U.S. presidents and many foreign heads of state. The university has an endowment worth an estimated $21 billion. The lead author of the letter said he is hoping university officials apply the same principles to honorary degrees that they use now when renaming campus buildings. In 2017, they changed Calhoun College, one of 12 undergraduate residential colleges on campus, to Grace Murray Hopper College. Although John C. Calhoun served as U.S. vice president and a U.S. senator, liberal officials branded him a white supremacist, leading to the name change.